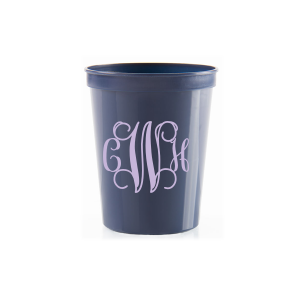 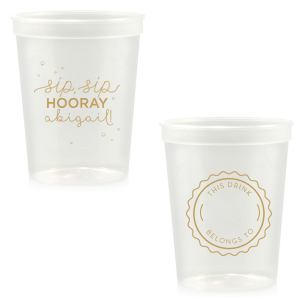 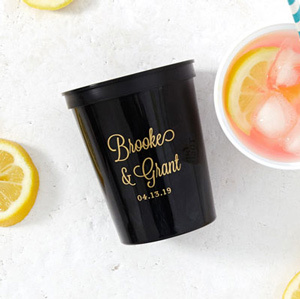 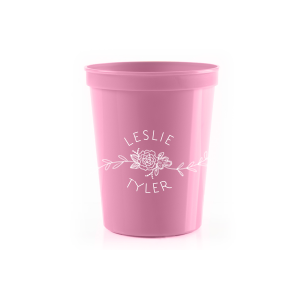 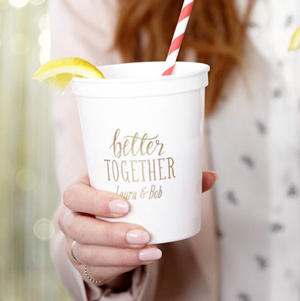 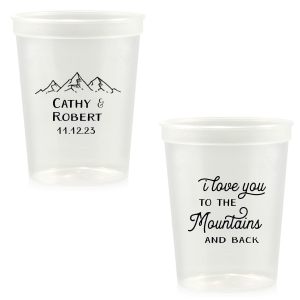 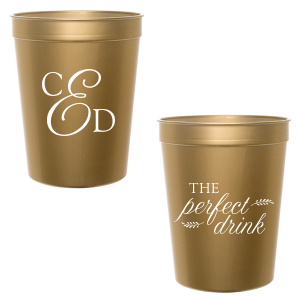 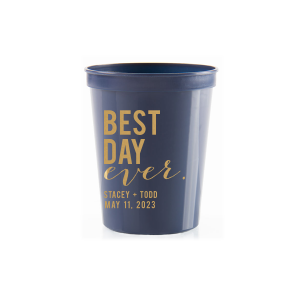 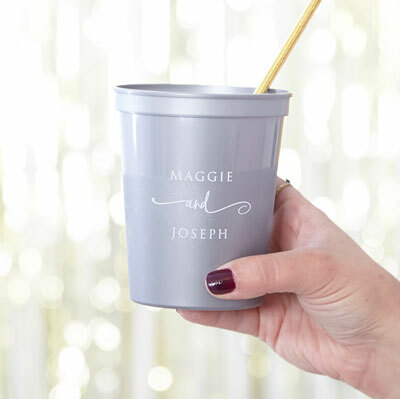 Toast to love with personalized plastic cups! 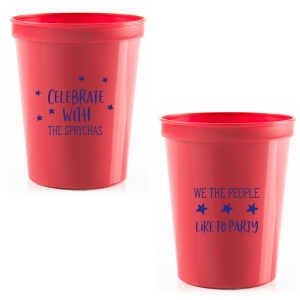 For Your Party's custom 16 ounce stadium cups are a huge party favorite. 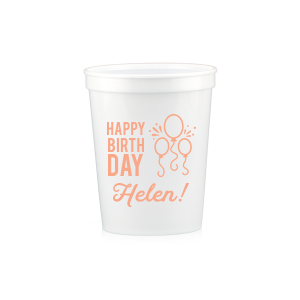 These reusable plastic cups come in numerous colors that range from bright, bold sport's team colors to neutrals like white and black so that you can create the perfect custom party cup. 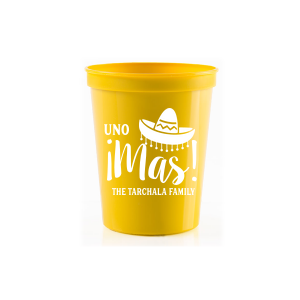 Our 16 ounce stadium cups are dishwasher safe and can be used multiple times, making them fantastic personalized party favors. 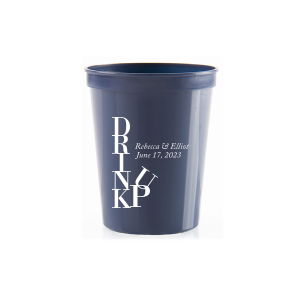 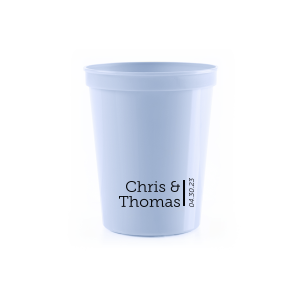 Simply use at your event and then send these custom cups home with guests for an easy and creative party favor. 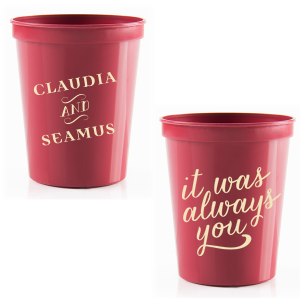 They'll think of you and your wonderful party every time they take a drink. 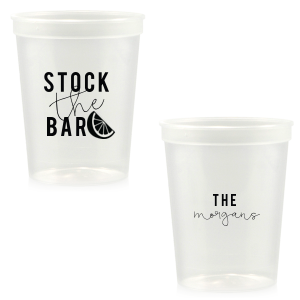 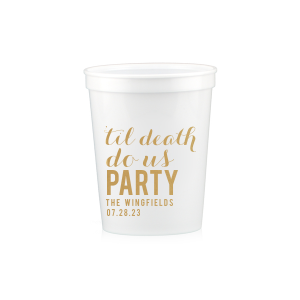 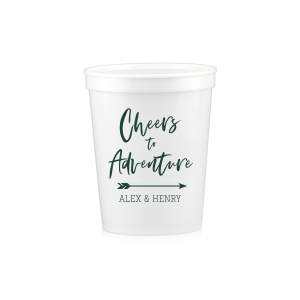 If you're planning an outdoor wedding or are wanting a casual wedding reception, these 16 ounce stadium cups will make fabulous wedding cups. 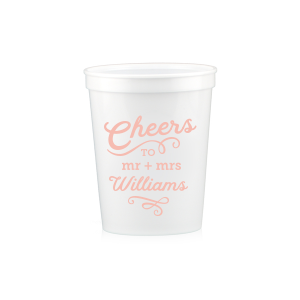 Add the bride and groom's names, your wedding date and a meaningful graphic to your custom stadium cups. Or, step up your tailgate game with football themed cups. 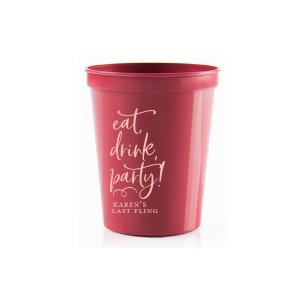 Simply fill with beer, soda or your favorite party punch to get the party started! 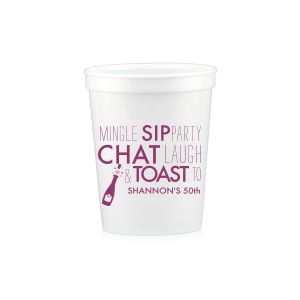 Start your online design today.